If you have a library card, chances are you don't have to buy audiobooks and ebooks to read or listen to them on your iPhone, iPad or iPod -- you can download them for free directly from your local library. 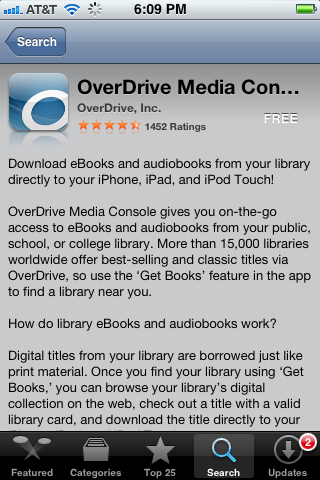 First, check with your library to see if they support the OverDrive Media Console. 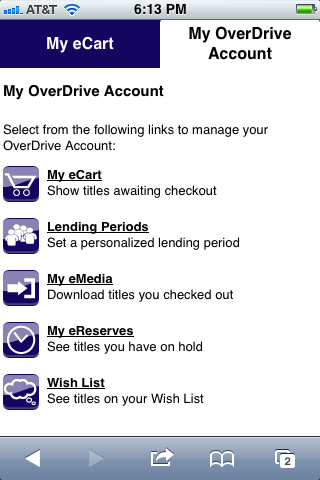 If your library does, you can use the OverDrive Media Console app to download digital content directly to your device over a Wi-Fi connection, or you can use the OverDrive Media Console desktop client to download the content and then sync it with your device through iTunes. Either way, the process is considerably cheaper than paying for content, and it's perfectly legal, unlike using peer-to-peer file sharing websites to pirate content. 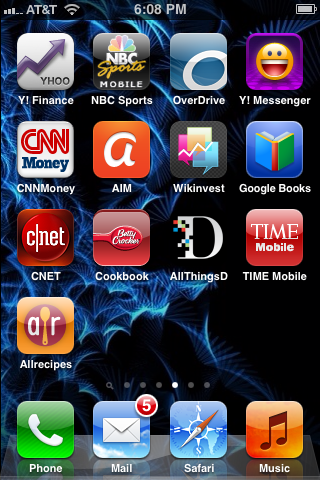 Tap the "App Store" app on your iPhone, iPad or iPod touch home screen. Tap the "Search" icon along the bottom of your screen and then type "OverDrive" in to the white search bar along the top of the program window and then tap the blue "Search" button. Select the "OverDrive Media Console" app developed by OverDrive, Inc. The app developer is listed in gray lettering directly above the name of the app. The app icon features a blue background with a white "O" in the lower-right portion of the icon. The Info screen appears for that specific app. Tap the blue "Free" button in the upper-right corner of the app and then tap the green "Install" button. Enter your Apple ID password if prompted and then tap "OK" to begin installing the app. Tap the "OverDrive" app on your device's home screen after the app is finished installing. 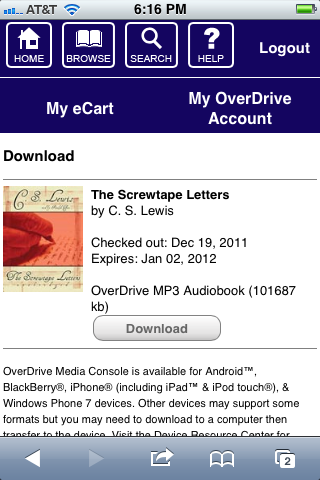 Tap the "Get Books +" icon in the upper-right corner of the OverDrive home screen. Tap "Add a Library" in the program window that appears. The Add a Library dialog box appears. Enter the name of your library, or the city or postal code associated with where your library is located and then tap "Search." Scroll through the list of libraries that appear and then tap the name of your library. 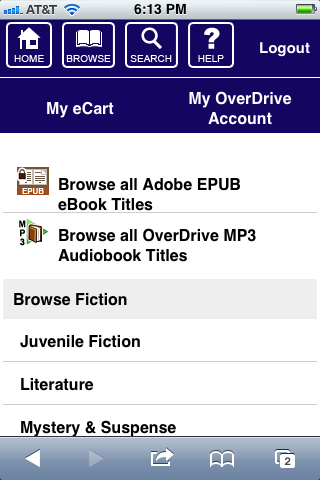 If your library doesn't appear, your library does not distribute audiobooks and eBooks using the OverDrive Media Console program. Tap the name of your library in the next screen that appears beneath Library Systems. 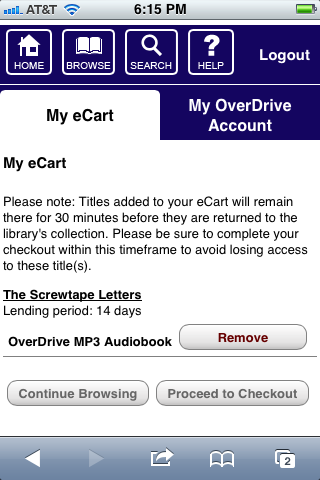 The OverDrive page for that specific library appears. All of the OverDrive pages for each library look the same, but the bar across the top that features that specific library's logo differs from library to library. 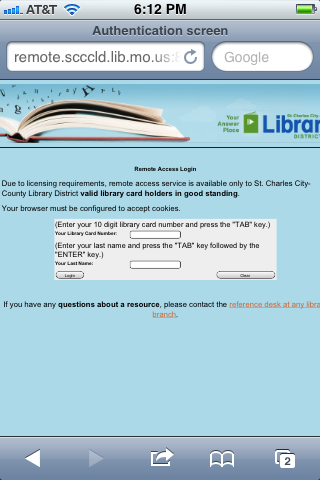 Tap "Login" in the upper-right corner of the program window to be redirected to a screen where you will be required to log in to your library account. Most libraries require that you enter your library card number and some libraries also require that you enter the last name of the cardholder for the account number you entered. 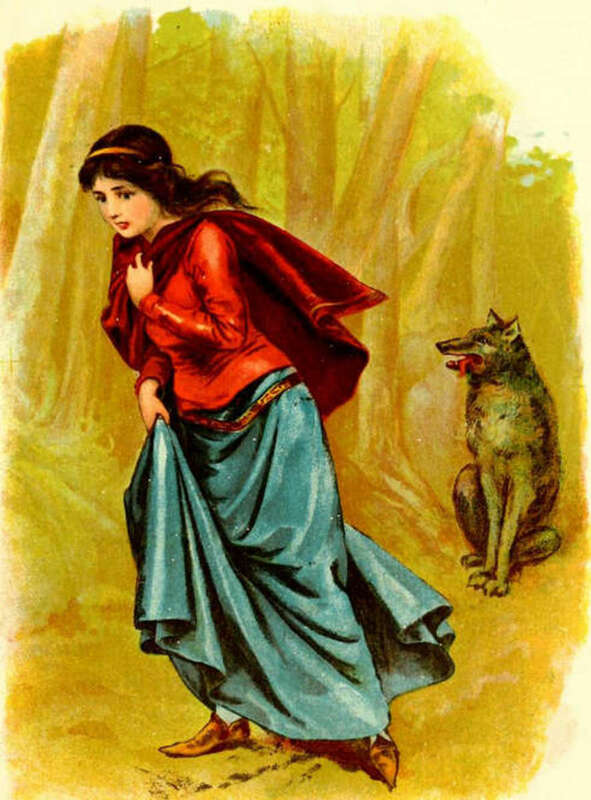 After successfully logging in to your library account, you will be redirected back to the OverDrive home page for your library. Use the Browse or Search functionality on the home page to look for a specific book or browse available titles. While searching or browsing, you can sort available books by popularity, author, title or the date they were added. Each book will also display the number of copies the library has for distribution and how many of those copies are available. 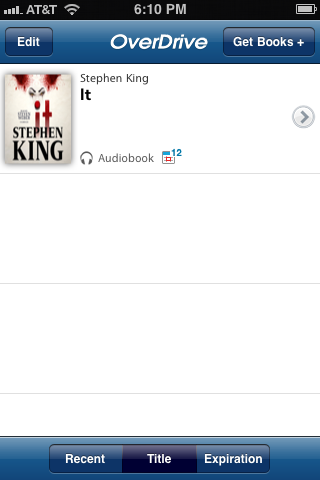 Tap "Add to eCart" when you find a book that's available that you want to download to your iPhone, iPad or iPod touch. If no copies are available, you can place a book in reserve. 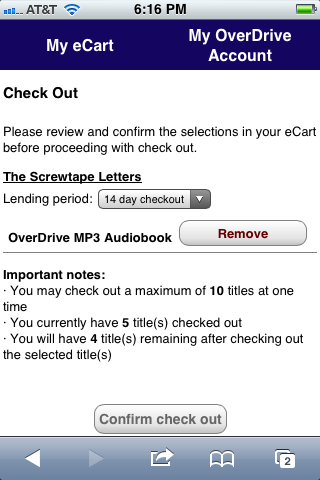 if you place a book in reserve, you'll receive an e-mail at the e-mail address associated with your library account when a book becomes available, at which point you can log in to your library's OverDrive home page and navigate to "My OverDrive Account" and then "My eReserves," where you can continue following the steps to download the eBook or audiobook to your device. Tap the drop-down arrow to select either a 7- or 14-day lending period and then tap "Confirm Check Out." Ensure that you're connected to a Wi-Fi network and then tap "Download." 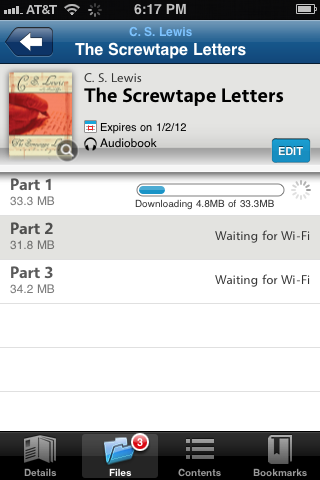 If you're not connected to a Wi-Fi network, you won't be able to download the audiobook or eBook to your device. 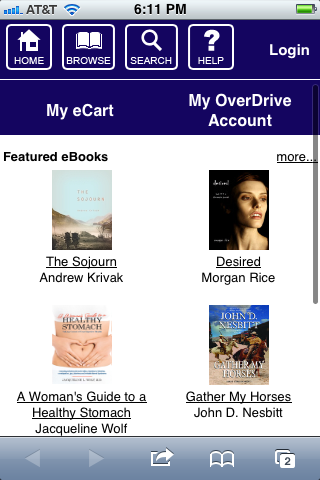 The home page of your OverDrive app automatically opens, displaying your bookshelf, with the book you elected to download now being displayed in the bookshelf. Tap the right-pointing arrow on the right side of the name of your book to open a screen that displays the details for that specific book. Tap the "Files" icon along the bottom of the information window for that specific title. 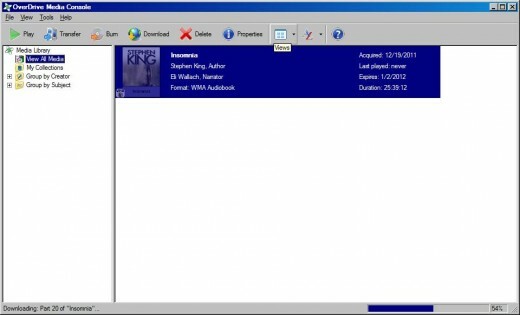 A list of files that make up the audiobook or eBook you're downloading is displayed, along with the download progress of each file. You must leave the app open to download each file. If you close the app before all of the downloads are finished, you'll need to open the OverDrive later on and resume the unfinished file downloads. You can listen to or view the files that are finished downloading as soon as they are finished. 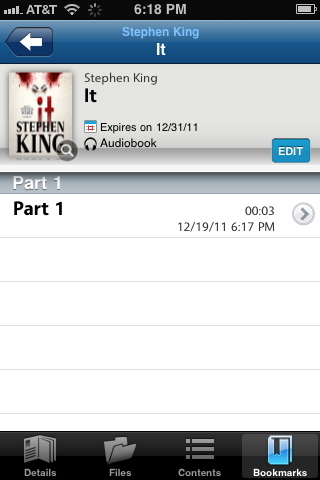 The audiobook or eBook will automatically be removed from your device after the lending period is over. Open your Web browser, navigate to the OverDrive Media Console software download page and then download and install the appropriate desktop client software for your computer. Open your Web browser and navigate to the home page for your library and then log in to your library account. 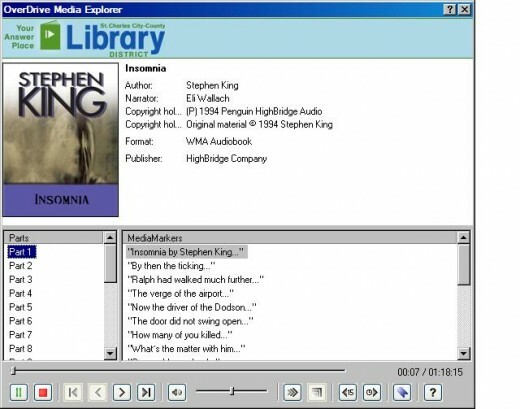 Navigate to the part of your library's home page where you can download electronic content through the OverDrive Media Console. Click the name of the title you want to download digital content for and then click the type of file you want to download. 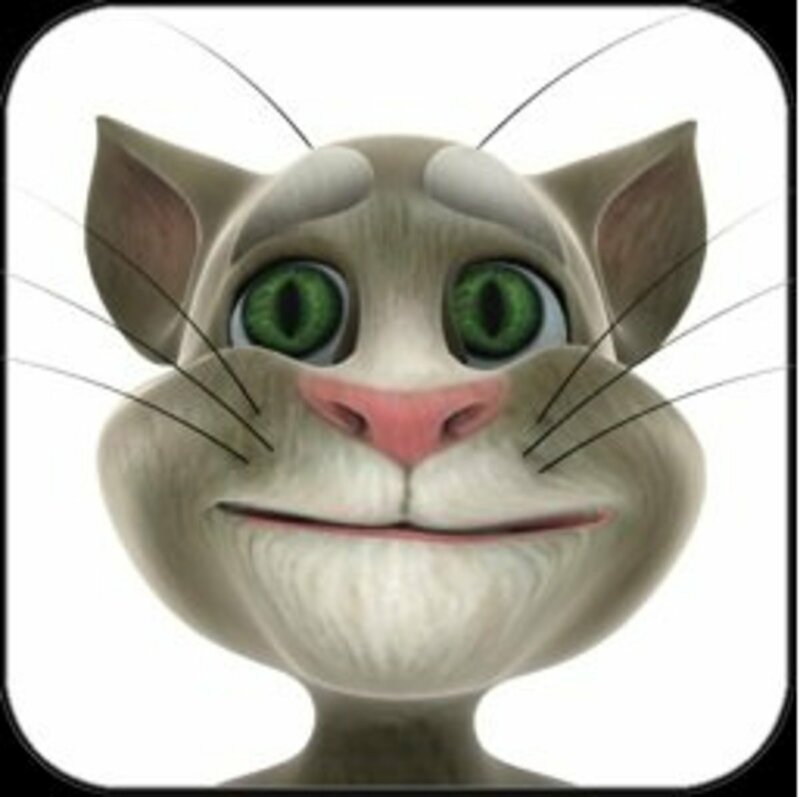 For example, file types that can be transferred to your iPhone, iPad or iPod touch include Adobe EPUB, WMA and MP3 files. You can only transfer WMA and MP3 file types to other iPods. Click "Proceed to Checkout" and then log in to your library account if prompted. Click "Download." A dialog box appears asking you what program you want to use to open your file. Select "Open With" and then select "OverDrive Media Console" if it isn't selected already, then click "OK." The OverDrive Media Console desktop client opens and the Get Media dialog box is automatically displayed. Select the folder where you want to save the files you are going to download using the program and then click "OK."
Click "Check All" in the dialog box that appears, displaying all of the parts of the content you're downloading and then click "OK" to begin downloading all of the parts. The progress of your download will be displayed along the bottom of the OverDrive Media Console desktop client. After all the parts of your title have finished downloading, click to select your title on the home screen and then click the "Transfer" icon in the OverDrive Media Console's desktop client. Connect your iPhone, iPad or iPod to your computer using the USB cable that came with the device, open iTunes and then click "Next" in the dialog box that appears. Click "Select All" in the dialog box that appears displaying all of the parts of your audiobook or eBook and then click "Next." 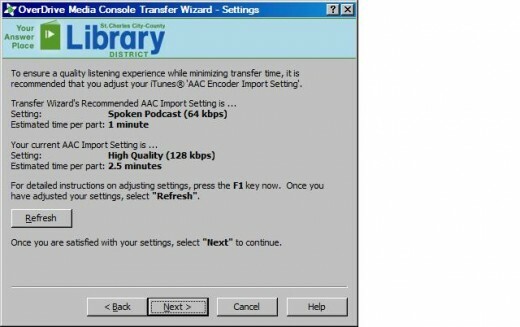 Click "Next" again in the dialog box to begin transferring the downloaded file to iTunes. The progress of the transfer will be displayed in both the OverDrive Media Console dialog box and iTunes. Click "Finish" in the OverDrive Media Console dialog box that appears telling you that your file successfully transferred to iTunes. Open the iTunes program window and then click to select the name of your device beneath Devices on the left side of the program window. 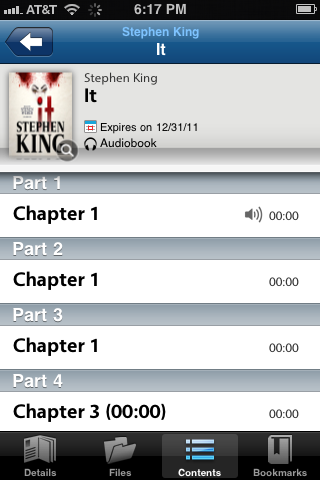 Click "Sync" in the lower-right corner of the program window to sync your newly added audiobook or eBook with your iPhone, iPad or iPod. that is a great tip. hope it works with my library. If so it would be a shame that my local library didn't advise me on the same itself. Yes, going to use it.. thank you so much.. awsome.. better than listening to music sometimes. The brick and mortar library, just like the brick and mortar bookstores will meet their demise under the new web created world. Help the world by transposing library books into articles. It's definitely a better alternative than trying to get a hold of them illegally. I've used it for 2 or 3 years now, and I love it. 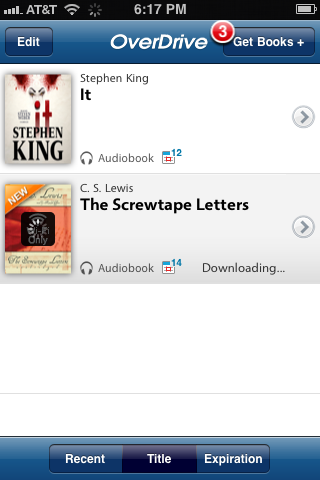 Also, OverDrive keeps making improvements to make it a little more user friendly and intuitive. Glad you liked it. It's a pretty cool program that not a lot of people seem to know about. Yes, I have the Kindle reader. Most of what I'd want just isn't there. I don't read fiction - just science, tech, history. The pickings are slim. A lot of fiction, perhaps, but I have zero interest. It's pretty neat and really convenient. It takes a few tries to get used to the process, but it's really cool. Stop back by if you have questions. I use it almost exclusively for audiobooks. However, I think you can download the Kindle app for your iDevice and then download Kindle-friendly files to it via the OverDrive Media Console desktop client. I haven't done that, but I think that's one way you can get more eBooks on your device instead of limiting yourself to the EPUB files that you're limited to. I'll look into this in the future and try and update the article appropriately. I've used it a bit, but I want e-books, not audio and most of the selection seems to be the latter - the ebooks are very limited and in short supply. I wonder if this is amatter of expense or that libraries don't think the demand is high enough (or both)? I hadn't ever thought about checking this feature at my local library. I will check now! 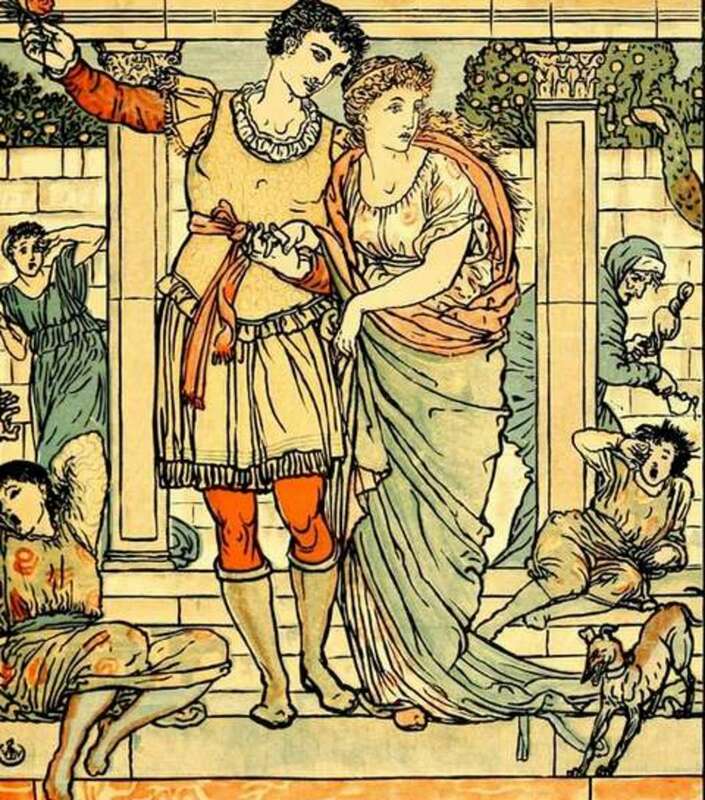 And then I'll drop by to let you know how it worked.